﻿ Copper Nickel 70/30 Slip On Flanges, Copper Nickel 70/30 Weld Neck Flanges, Cu-Ni 70/30 Flanges Exporter. 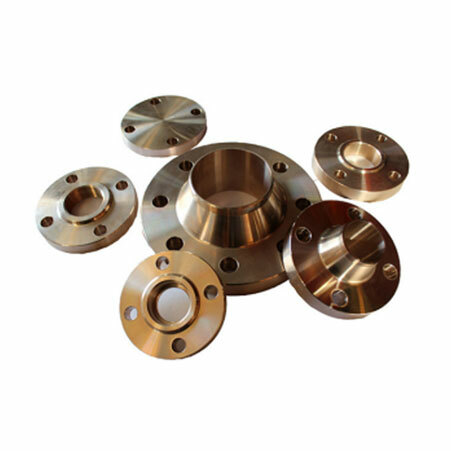 ASTM B61 Copper Nickel Slip On Flanges, Copper Nickel 70/30 Weld Neck Flanges Exporter, Cu-Ni 70/30 Awwa Flanges, Cupro Nickel 70/30 Body Flanges Supplier. Amco Metals an ISO 9001: 2015 certified company, that offers a broad range of quality products that guarantee complete customer satisfaction. We, at Amco, are dedicated to delivering products that are of premium quality. 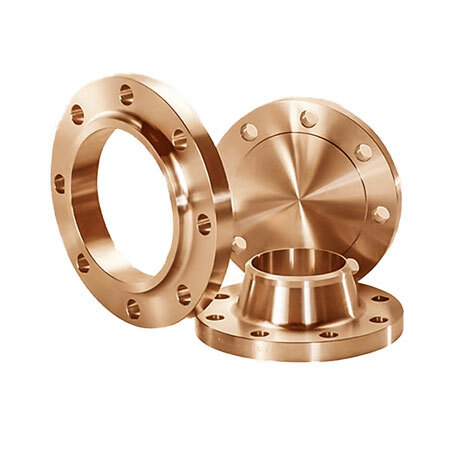 We are a manufacturer, trader, stockist, supplier and exporter of UNS C71500 Copper Nickel 70:30 Flanges that are the result of hard work and innovation; we own and offer you a broad portfolio of CuproNickel flanges that is simply the best in class and grade. Biofouling and the eventual formation of the algae and unwanted organic wastes on underwater piping systems for cable wires and ships can cause a concern. This can be averted through using ASME SB 61 Cu-Ni 70/30 Threaded and Screwed Flanges which are biofouling resistant, are fabricable and oxidation resistant in moist atmospheres, highly used in the marine and naval industry. We carefully study the rising market trends, to design products that are 100%, sustainable and economical. Our products are available in complete customization options. 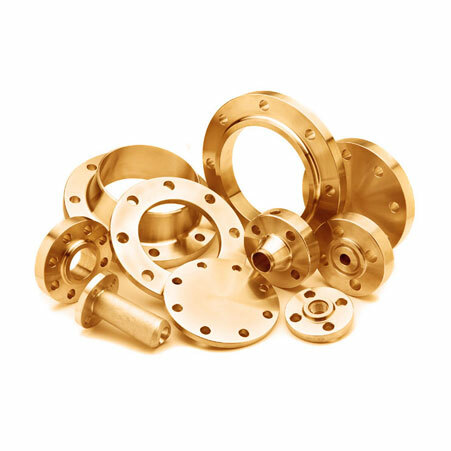 ANSI B16.47 Series A & B Flanges, Cupro Nickel 70/30 Blind Flanges Manufacturer, Cu-Ni 70/30 Threaded Flanges, Copper NIckel 70/30 Spectacle Blind Flanges Supplier.